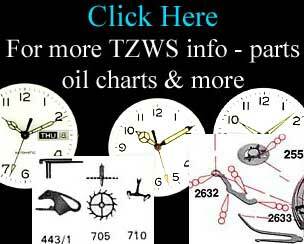 The TimeZone Level 3 Covers Timing and Regulating Watches. TimeZone Level 4 Tools & Movement. EMS Service (Express Mail Service International) Delivery times vary per country with shipments to Japan in 2-3 days and shipments to France and Italy taking up to 2-4 weeks. On International Shipments Outside the United States you will be charges any customs importation duties or VAT taxes imposed by your country. Please do not ask us to declare a lower value for the items being shipped, we must declare full value on every shipment. You will need to contact the tax officials in your country in find out how much you will have to pay to import the toolkit.